J. 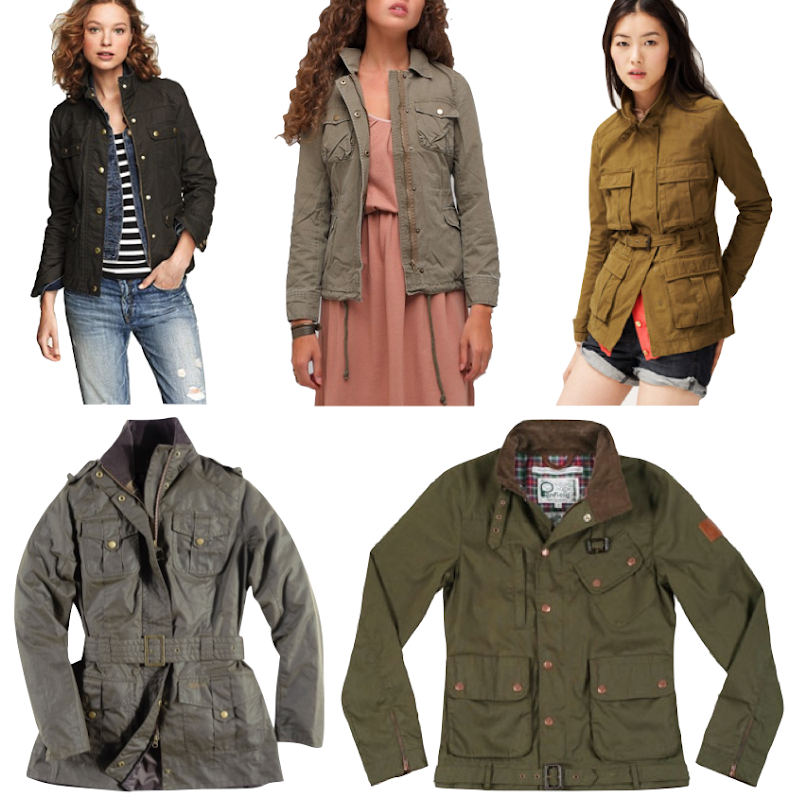 Crew Downtown Field Jacket ($148); Camping Jacket ($58); Madewell Fielder Jacket ($168); Barbour Defense Jacket ($329); Penfield Walpole Jacket ($153). Perfect casual jackets for fall! I have a perfect army green one from J.Crew from a couple years back. It was the last one and practically had to fight a salesgirl for it. Love it. I have that green jcrew field jacket and it has been a staple to my wardrobe the past two fall seasons. I get tons of compliments on the jacket and I know that they carry it at the J Crew factory store now.